A pair of utensils that comes with a great story from the early centuries are the chopsticks. They are another set of utensils you need to utilize to have food besides fork, spoons and knives. It started from China and ever since it has swept across other Asian countries like Japan and Vietnam since 1200 B.C. 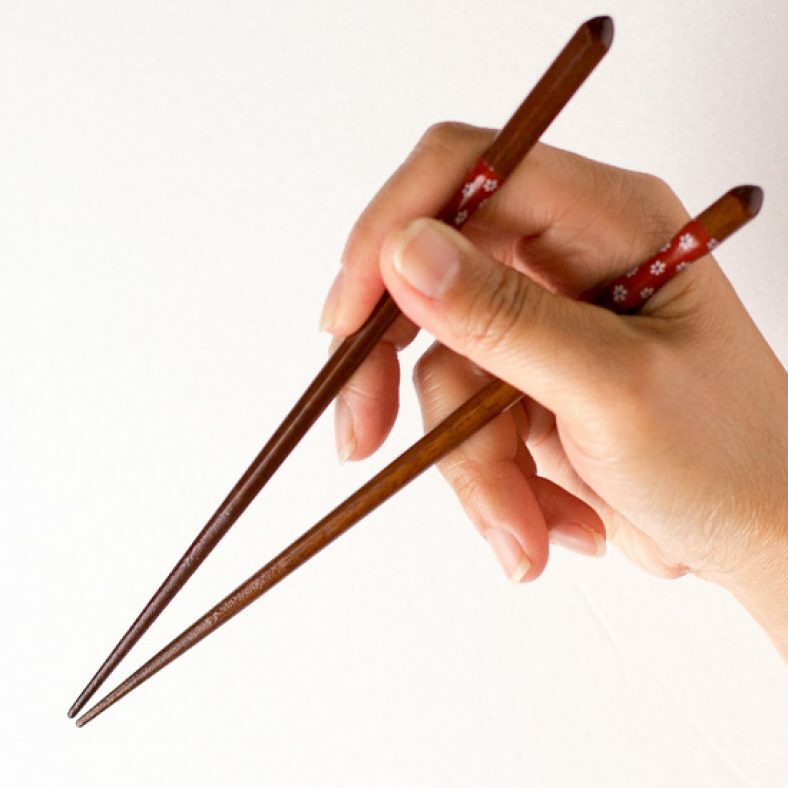 There are many uses of the chopsticks and they are popular. It started initially for cooking and even nowadays many famous chefs use it for the same purpose. Slowly, people started to realize that it could be used for eating. Here is how you use them. Step 1: Start with the right hand even if you are a left-handed person. People make the mistake by holding it in the left hand because they do not know that it is considered taboo. It is alright to bring the bowl of rice close to your mouth if you are scared of dropping it with your right hand, but never utilize he left hand for eating with chopsticks. It is the first mistake someone makes when they first start eating with them. Step 2: Just because the name says chopsticks, you are not going to chop any food with it neither stick it in your sushi and eat it. You have to hold the end or the thick part of the chopsticks. Children hold it towards the bottom or the middle. Open your palm and insert the stick A beneath the thumb and let is sit over there on your hand. Step 3: Try moving the first one and make sure that your elbow is comfortable, the only way to check by yourself if you are doing it right is by making sure that the elbow is comfortable. Get the stick B and get it in the middle of your index finger and thumb by holding it with the thumb and the index finger. Do not use it to move any bowls, food or plates. Step 4: Insert the ring finger under the stick B by slightly bending it and never pierce food with them. The name stick might want to make you want to pierce a hole in the food and grab it since it is easier, but never do it. Get the middle finger below the stick A, the one that was resting on the palm since the beginning. Step 5: The trick to easy handling is to understand how they work. You are allowed to move the stick A but not stick B, therefore, do not get into the hassle of moving two of them. Only move the first one to grab food and have them in your mouth. After you are done eating, keep them on top of the bowl in a straight line because it means that you have finished eating. • In case you are taking a break from eating, keep the chopsticks in a straight manner beside the bowl on the right side and not on the left side. This entry was posted in Life Tips on October 17, 2017 by Tom.